Dower is the wife's interest in her husband's real property upon his death. This is legal concept that dates back into antiquity. Commonly, the widow was legally entitled to use one third of the real property to support herself and her children during her lifetime. Vestiges of this dower interest are still common in many states of the United States and variations on the concept of dower are common around the world. The basis for this interest is the now less commonly accepted concept of coverture holding that a married woman did not have a separate legal existence from her husband. Dower was one of the very few exceptions to this harsh legal concept. The dower grew out of the Germanic practice of bride price (Old English weotuma), which was given over to a bride's family well in advance for arranging the marriage, but during the early Middle Ages, was given directly to the bride instead. However, in popular parlance, the term may be used for a life interest in property settled by a husband on his wife at any time, not just at the wedding. The verb to dower is sometimes used. This concept of dower is sometimes reflected in the use of the term, "dowager," for a woman who was a widow and entitled to assert her dower interest. Dower rights were formally recognized by English courts as early as the 1300s. One important fact for genealogists is that the widow's dower interest had to be waived or relinquished in conjunction with the sale of any real property. As a result, deeds commonly contain a consent by the wife to the transfer of real property by the husband. In some cases, these provisions are witnessed and the witnesses are members of the wife's family thus identifying the wife's maiden name. In other instances, failure to include a waiver of the wife's dower interest resulted in the widow being able to assert her dower interest in the real property either in a probate of the property or even long after the death of the husband. Because of these types of interest, research into land and property records can and should be rather extensive as to the time frame of transactions affecting a particular family's interest in real property. There are a few states in the Unites States that still recognize a dower interest as such. But many states still base their division of property upon the death of the husband or a dissolution due to divorce on the concept that the wife and children share a percentage of the property interest. 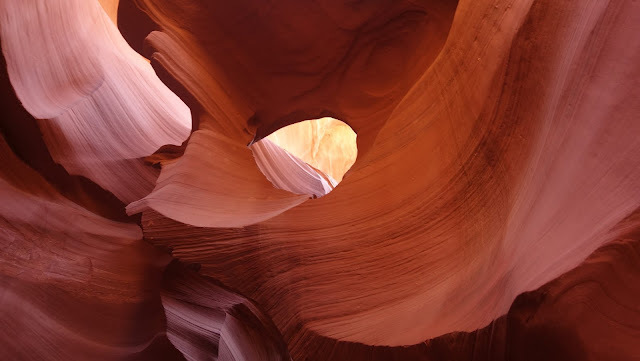 The exceptions in the United States are the nine community property states that hold both parties to the marital community to have an equal share in all the property acquired during coverture with some exceptions. Issues such as dower can be very helpful to genealogists who take the time and make the effort to learn about both history and law. Now, what in the world does this have to do with genealogy? Plenty. Genealogy is a hair on the tail that is being wagged by the dog. The dog, in this case, being "advancing" technology. One of those tail wags includes the rush to DNA testing. Beyond that, genealogical computer users are now in the midst of another major hardware and software upgrade whether they realize it or not. Incidentally, we just went through the abandonment of microfilm shipments by FamilySearch. Genealogy is hardly immune to the changes imposed by advancing technology. But how much of what is going on in technology is really an advancement and how much is actually window dressing? This is a pertinent question, especially for that huge group of genealogists who, for a variety of reasons, are either unaware of the technological changes or do not care to participate. In the genealogical context, the easiest of these technological advances to criticize is the fad of DNA testing. Yes, DNA tests can be used to "find" close relatives. But here is one example of why simply having a DNA test does not magically find your relatives and their connection to you in the form of a common ancestor. I currently have 187 DNA matches from a popular testing company (I am not picking on any one company so I will refrain from naming names). Out of the first ten of those 187 matches, seven of the ten have only rudimentary family trees and the program indicates that I can contact these people for more information. Without a family tree in the main online hosting program, their DNA tests are essentially worthless. In addition, the closest relative show by the tests has a percentage of shared DNA of only 2.4%. Whereas, in those few cases where there these people have a family tree, it takes only a glance at their family tree to see the common ancestor who, in every case, is my well-known great-grandparent. No new information here. Yes, I know. 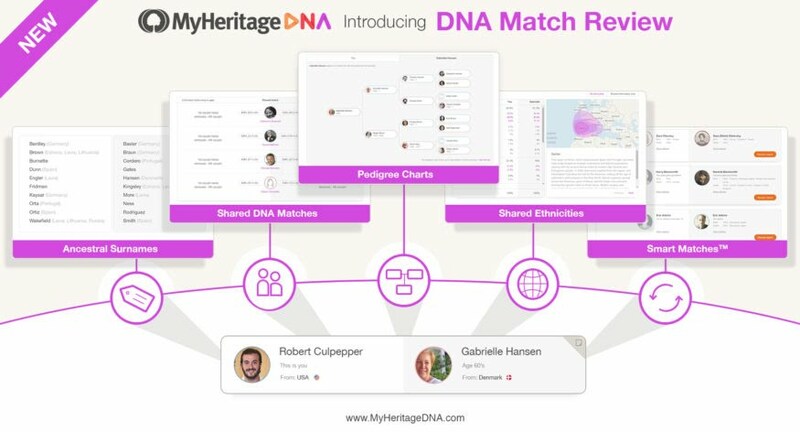 I could spend my time and my money to expand my DNA testing results and compile charts and such to show more remote relationships, but what is the point when I have already done the work showing those same relationships? Oh, you say. "You are the exception." Most people can find unknown connections with DNA testing. Yes, that may be the case with some, but those people who do not have enough interest in genealogy to have a family tree online are not part of those who might benefit. I realize that I am picking on DNA testing, but there are several other current topics that involve technology that are not really an advance. One more example. In this case, I am forced to name names. 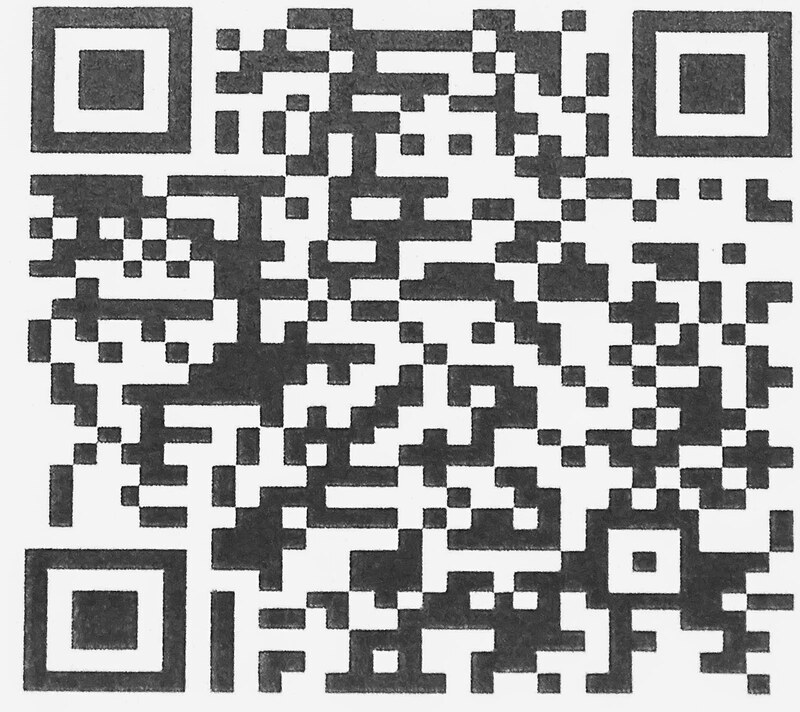 FamilySearch is digitizing their microfilm collection. This is an inevitable development and no question that there are some advantages to the digital format. But here is what is happening in many cases to make this advancement an illusion. In the past, I could order a roll of microfilm and view the microfilm with a viewer in a designated Family History Center. I had to pay for the rental of the microfilm and wait until it arrived at the Family History Center. Now, today, that same microfilm roll has been digitized. But because of the limitations imposed by legal or political issues, I cannot view the digitized roll anywhere but in an authorized Family History Center or Library. Hmm. Isn't this sort of a wired wireless advancement? I have a new device, but I still have to do something to take advantage of the benefits. Mind you, I am not criticizing FamilySearch, they are not the problem. They are doing what they can. 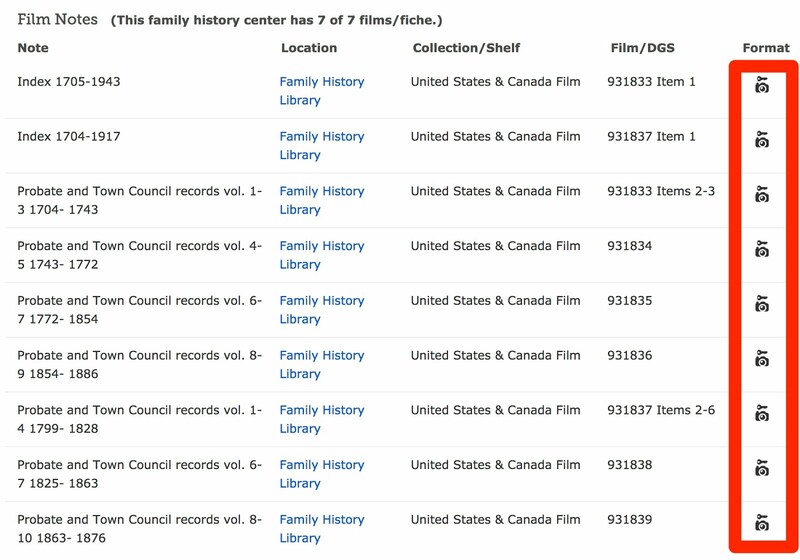 Here is a screenshot from FamilySearch showing that this list of former microfilms has been digitized, but at the same time, showing a key icon that the film can only be viewed in a Family History Center or Library. Yes, I still have to plug in my "wireless" charger. Digital Public Library of America (DPLA) Primary Source Sets are designed to help students develop critical thinking skills by exploring topics in history, literature, and culture through primary sources. Drawing online materials from libraries, archives, and museums across the United States, the sets use letters, photographs, posters, oral histories, video clips, sheet music, and more. 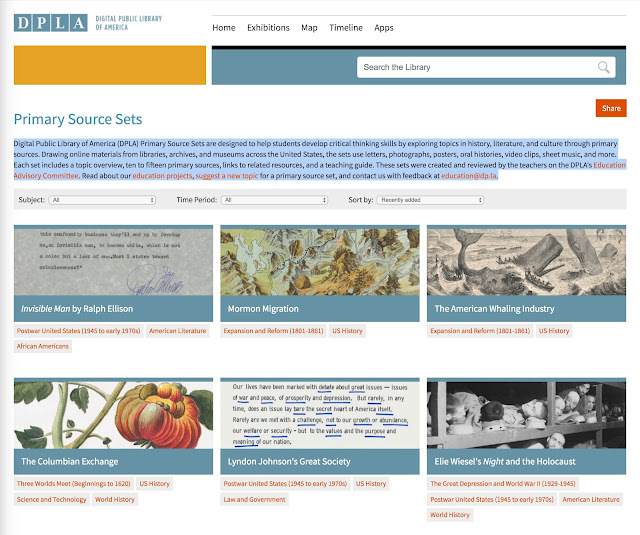 Each set includes a topic overview, ten to fifteen primary sources, links to related resources, and a teaching guide. These sets were created and reviewed by the teachers on the DPLA's Education Advisory Committee. Read about our education projects, suggest a new topic for a primary source set, and contact us with feedback at education@dp.la. 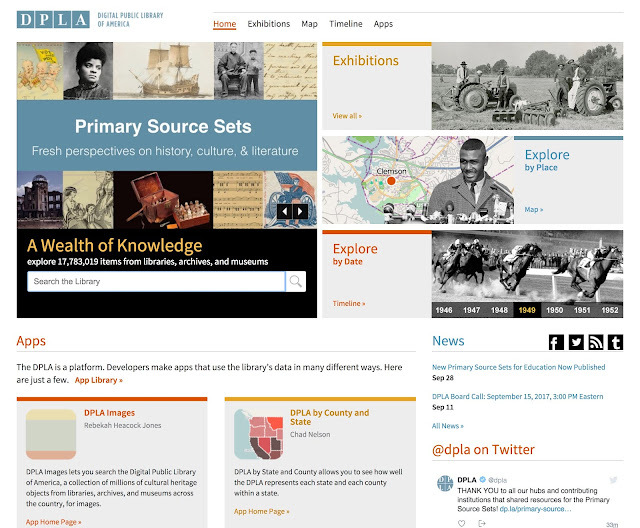 The DPLA has grown to include over 17 million items from libraries, archives, and museums around the United States. Some time ago, the organization Reclaim the Records filed a Freedom of Information Act initiative with the state of New York to obtain a huge database of the New York State Death Index. How do you fight the Empire State, and win? What I thought was most interesting was the part that Ancestry.com played in this entire saga. Sadly, the scenario has been played out in Arizona, Georgia, and many other states across the United States. The Freedom of Information Act (FOIA) is a law that gives you the right to access information from the federal government. It is often described as the law that keeps citizens in the know about their government. Actions brought under the Freedom of Information Act usually have nothing to do with genealogy. 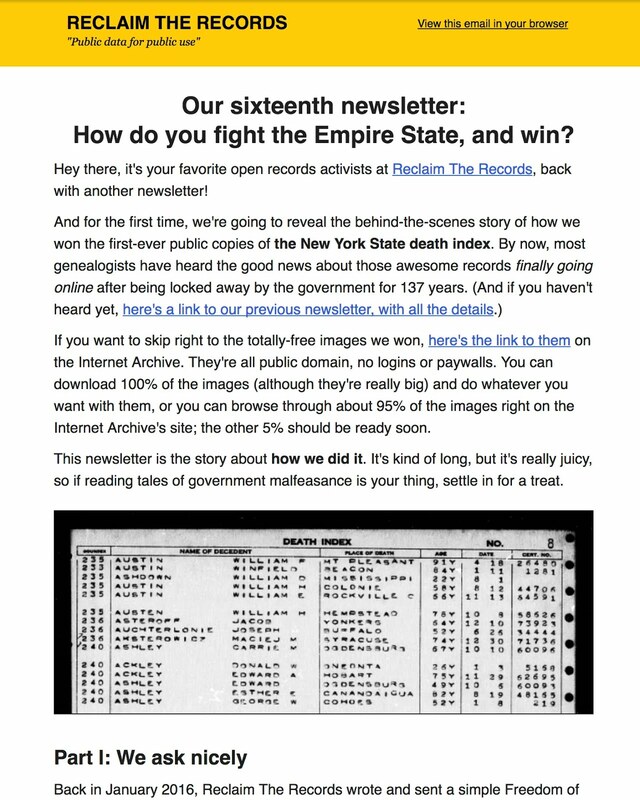 What is tragic, as explained in the article from Reclaim the Records is that the information obtained has little or no value to the government unless it is monetized. In this case, if you have personally suffered the death of a close relative, you probably realize that there are a number of "fees" and taxes associated with producing death records. For example, in Arizona, if your relative dies you may need as many as eight or more copies of a certified death certificate to satisfy banks, creditors, and other agencies. Each copy of the death certificate in the county where Phoenix is located cost $20. If they make a mistake in the death certificate it cost $30 to correct the certificate. If you investigate the cost of obtaining a death certificate of one of your ancestors from the state where the ancestor died, you can begin to see that this is a major moneymaking proposition for the states. They pass laws requiring us to provide them with the information and then they charge us to obtain copies of that same information. Subsequently, such as in this case, a large genealogical company comes along and benefits again from the information that we have been required to provide to the state. Think about it. RootsTech 2017 was a busy time for me. I certainly enjoyed the conference and had a good time talking to many wonderful people. I think going to RootsTech is a rite of passage for anyone interested in family history. Genealogy is a very personal and solitary pursuit. Going to a large conference such as RootsTech opens up a vision of the universal nature and interest that genealogy can have. Since its inception, RootsTech has been one of the highlights of my year. I will miss attending this next year in 2018 because I will be in Washington DC. I will take advantage of visiting the conference remotely as much as possible. 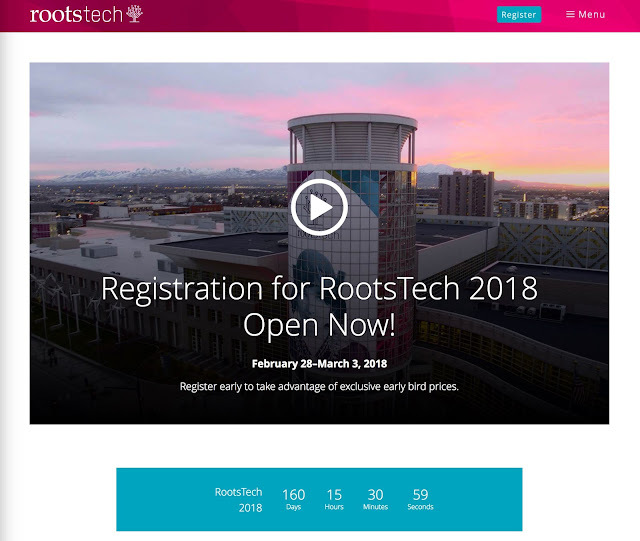 #RootsTech 2018 will take place from February 28 to March 3 at the Salt Palace in downtown Salt Lake City. Utah. Registration is now open. 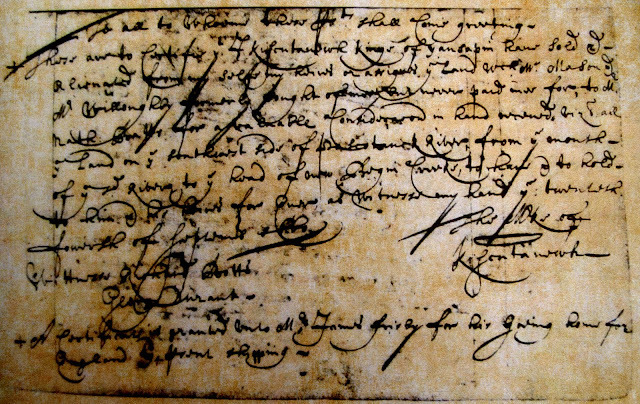 This early deed from North Carolina documents a transfer from a "Mr. Mason and Mrs. Willoughby" to "Kiscutanewh Kinge of Yausapin" and the further transfer of that same property to "Nath. Batts." This note is interesting because back in the 1700s American property law was, of course, governed by English law and the legal doctrine of "coverture" (sometimes couverture) was in effect. Quoting from the Wikipedia article "Coverture:"
Coverture was enshrined in the common law of England for several centuries and throughout most of the 19th century, influencing some other common-law jurisdictions. According to Arianne Chernock, coverture did not apply in Scotland, but whether it applied in Wales is unclear. Further quoting from Chernock, Arianne (2010). Men and the Making of Modern British Feminism. Stanford, CA: Stanford University Press. ISBN 978-0-8047-6311-0. In this context, the word "subsumed" means that all the rights a woman had passed to her husband at the time of the marriage. AN ACT for the effectual protection of the property of married women. Sec. 1. The real and personal property of any female who may hereafter marry, and which she shall own at the time of marriage, and the rents issues and profits thereof shall not be subject to the disposal of her husband, nor be liable for his debts, and shall continue her sole and separate property, as if she were a single female. Sec. 2 The real and personal property, and the rents issues and profits thereof of any female now married shall not be subject to the disposal of her husband; but shall be her sole and separate property as if she were a single female except so far as the same may be liable for the debts of her husband heretofore contracted. Sec. 3. It shall be lawful for any married female to receive, by gift, grant devise or bequest, from any person other than her husband and hold to her sole and separate use, as if she were a single female, real and personal property, and the rents, issues and profits thereof, and the same shall not be subject to the disposal of her husband, nor be liable for his debts. Sec. 4. All contracts made between persons in contemplation of marriage shall remain in full force after such marriage takes place. Genealogists who are faced with researching their families back into this early time period in English law countries often experience difficulty in determining a women's maiden name due to this concept of coverture. Other countries, even in Europe, do not present the same problems. For example, in countries derived from the Spanish Empire, where Spanish is spoken, women retained their maiden names even after marriage. Understanding land and property conveyances, probate records and many other legal documents drafted before the mid-1800s requires the researcher to understand the importance of coverture in all these historic legal transactions. By the way, knowing this will also explain many obscure passages and references in English literature. Coverture also partially explains why women were not allowed to vote for so much of English and American history. The issue eventually became highly politicized and laws derived from coverture are still the subject of major political movements in the United States and elsewhere. It is literally impossible to do adequate genealogical research without understanding a great deal of history and a large measure of the law in the countries and times where the research is taking place. Ignorance of law, history, and geography is the most common cause of ridiculous entries in online family trees. One exception to the law of coverture was the woman's dower interest. But that is another post for another time. Stay tuned. If you look closely, you can see that right now you could be one of the first 100 volunteers. I found out about the event through an email of the blog post above because I happen to be subscribed. But I am not sure how I would know about the event if I did not happen to subscribe to that particular blog. Perhaps if this event is worldwide, it needs some more publicity? 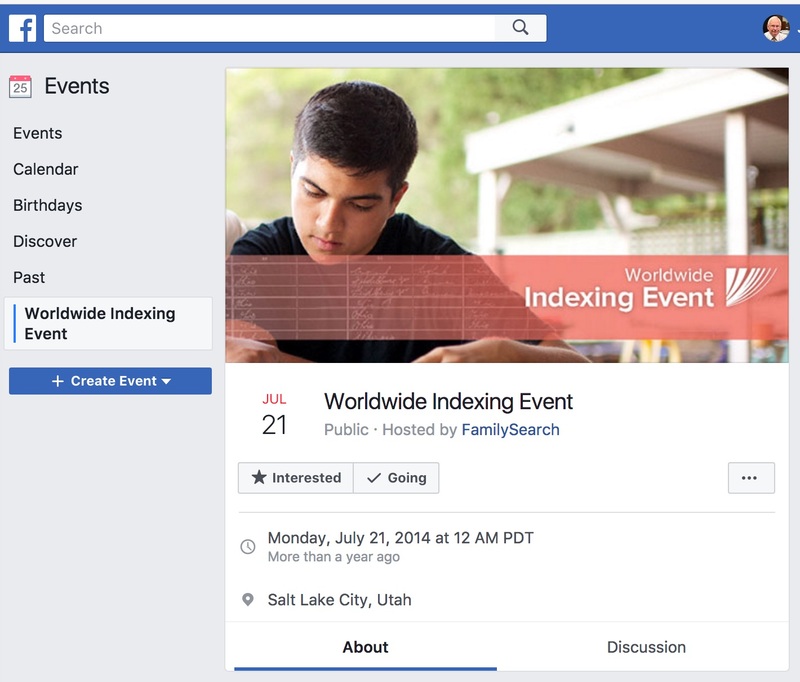 There is a World Wide Indexing Event Facebook page but it is dated 2014. I did find a few notices from others posting on Facebook, but nothing official. My wife and I have recently been called to serve as full-time missionaries in the Washington, D.C. North Mission of The Church of Jesus Christ of Latter-day Saints as record preservation specialists. We will serve for one year. We enter the Mission Training Center (MTC) on December 4, 2017. As many of our friends and acquaintances know, we have both been serving as part-time Church Service missionaries for many years, first at the Mesa FamilySearch Library and then, most recently, at the Brigham Young University Family History Library on the campus. But since this mission is a full-time calling, we will have to spend whatever time is necessary to fulfill our callings and likely I will have to take an extended vacation from regular blogging. 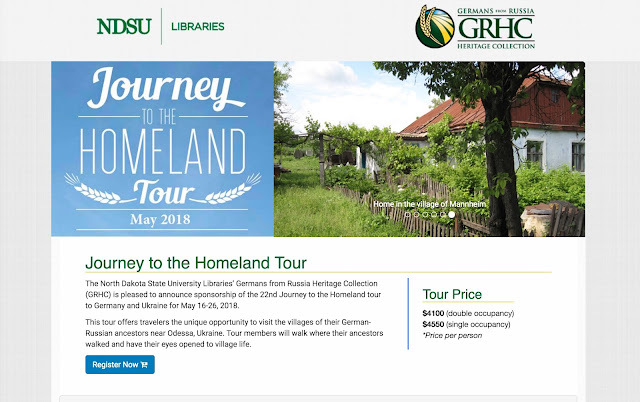 Since we have been doing genealogical research for our own families and for those of many others, we feel this is an opportunity to contribute directly to the information available to genealogists and family historians around the world. Here is another link that explains what we will likely be doing. 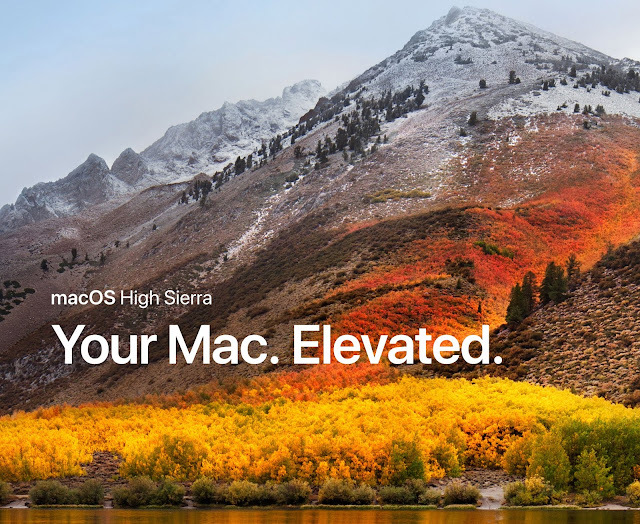 Well, Fall is here and apparently, it is time for two new operating systems from Apple: iOS 11 and High Sierra. Because I am an early adopter of most technology, I upgraded my iOS devices to the new iOS 11. Hmm. Interesting adjustment. I am now waiting for the release of High Sierra and I expect some of the same adjustments. First of all, upgrading to iOS 11 was as easy as it usually is to upgrade an Apple device. I didn't notice any real differences. There were minor changes in the way that the icons looked and some differences in the organization of the icons on my iPhone. Some of the functions of the operating system have been entirely redesigned. For me, the big change came in the camera and the way that files were stored on the devices. Of course, I wanted to try out the new camera functions and took a picture and explored the new editing features. But the surprise came when I tried to save the image off onto my computer. 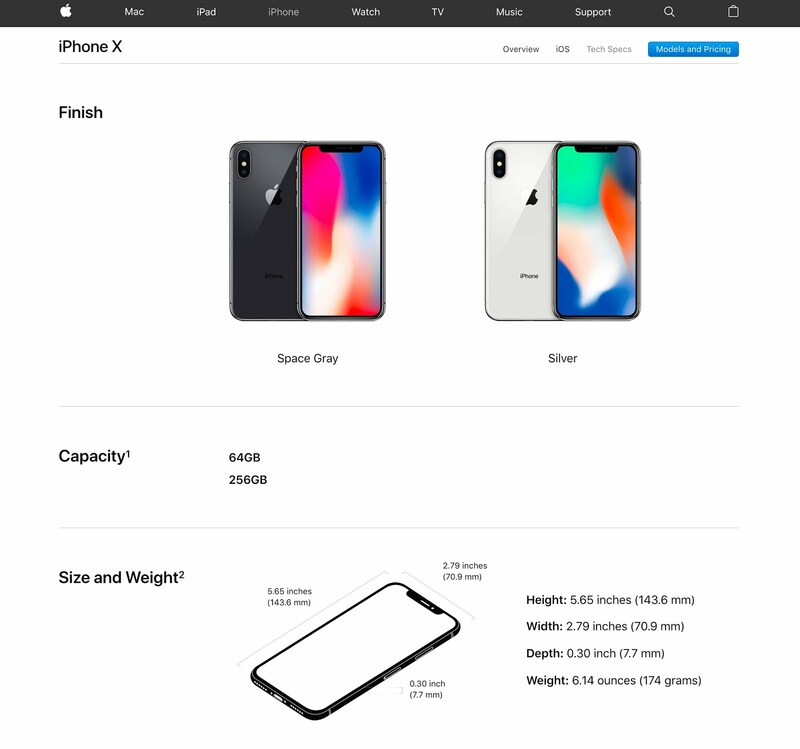 Apple has implemented a new format referred to as HEIC. Immediately, there was a problem. None of my programs and even Google Photos could recognize this file format. Took me a while to figure out how to resolve the problem. I finally found some instructions and looked in the camera section of the settings menu and found an entry called "formats" that allowed me to save the images as the standard.jpg. That temporarily solved the problem. The HEIC file format is apparently a filename extension for the High Efficiency Image File Format. 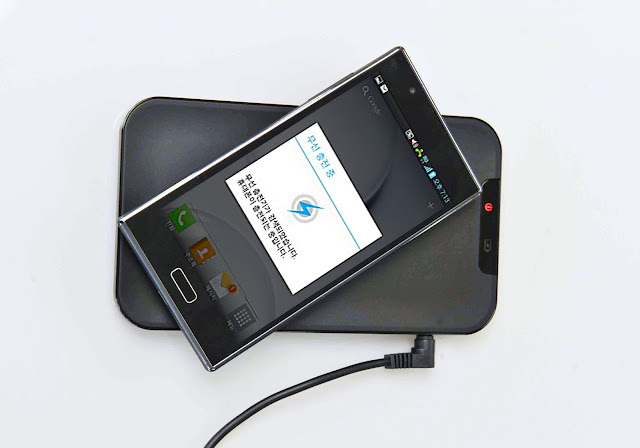 The benefit of this file format is that it saves a great deal of storage space on the device. The problem, of course, is that there will be a transition time before the file format is generally supported. By the time that I had figured out the problem, Google had already begun to support the new file format. So any problems I have working with the new file format disappeared. As genealogists, we should be aware that some of the programs that were presently using may need to be updated to support the new file format and the new operating system: High Sierra. I have already received a notice from Ancestral Quest suggesting that I upgrade the program before upgrading the operating system. As is also the case, some software programs will fall by the wayside because their developers do not wish to adapt the programs to the new operating systems. Back to the HEIC image file format, apparently none of my Adobe programs recognize this file format. I did find a file converter option online that seems to work. It may be some time before all of this is worked out. 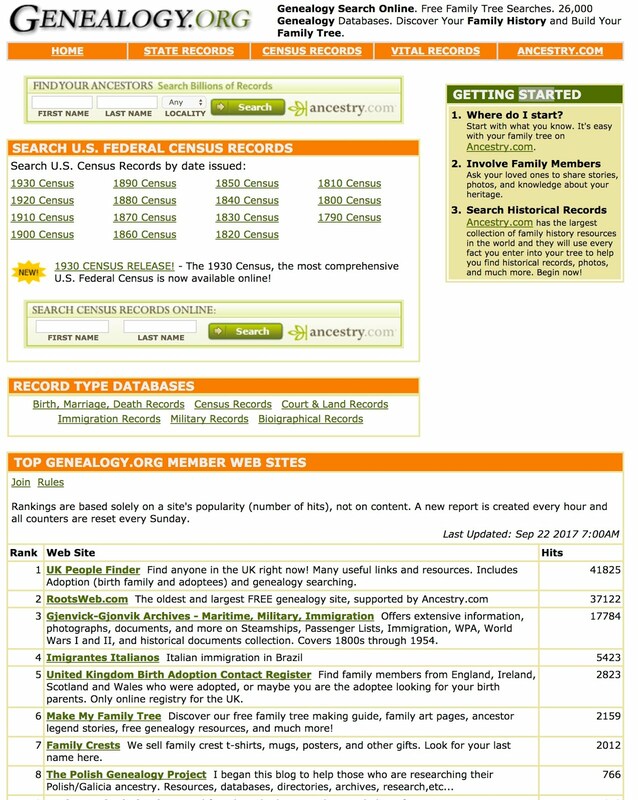 An interesting feature of the Genealogy.org website is the list of "Top Genealogy.org Member Websites." This is a list of 123 websites around the Internet related to genealogy in a number of different languages. Most of these websites have almost no traffic as shown by the "hits" count provided by the listing. Apparently, at some time in the past, websites could apply to join as a member website but the link now shows that feature to be inactive. I couldn't find any history online about the website but it appears that it was once an independent website acquired by Ancestry.com. 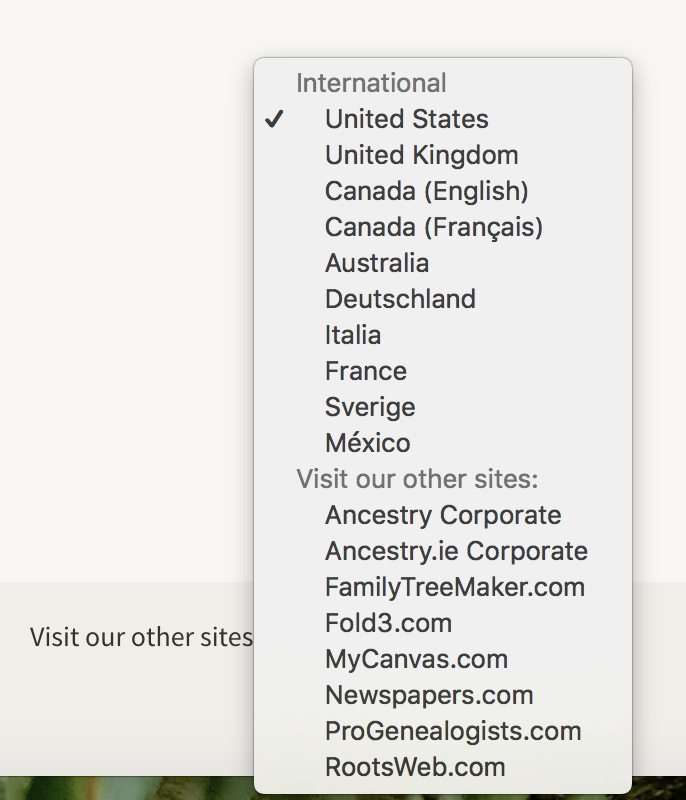 That was the case with Genealogy.com and I am guessing further that Ancestry.com wanted to make sure that it owned both the .com and the .org websites with the word "genealogy." Some of the links listed for the websites seem to be broken and some have redirects which I would avoid. In this age of mega websites for genealogy and sweeping searches such as those done by Google make these older listing websites less useful. But they remain interesting artifacts of the way that technology is changing. 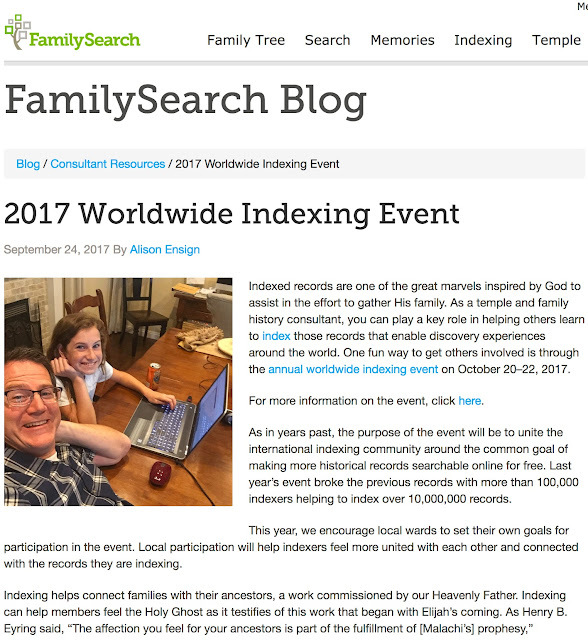 My guess is that FamilySearch will have a lot of partners in the future. Right now in addition to the existing partnerships, FamilySearch is recently added Famicity.com. Here is an introductory video for the new partner. There is another video linked from their startup page. Here is a quote from the recent announcement by FamilySearch of the partnership. Famicity is an intuitive, app-based tool. It is simple to use, and encourages more communication between family members. Stories, photos, and videos are easily added and conveniently time stamped. It also allows users to give other family members permission to add to a story. Today, families are spread out geographically and lean heavily on technology like social media to communicate and share family moments. Websites like Facebook aim to bring families closer together; however, these websites can be overwhelming and lack family focus with all the content being posted by a growing subscription of friends. 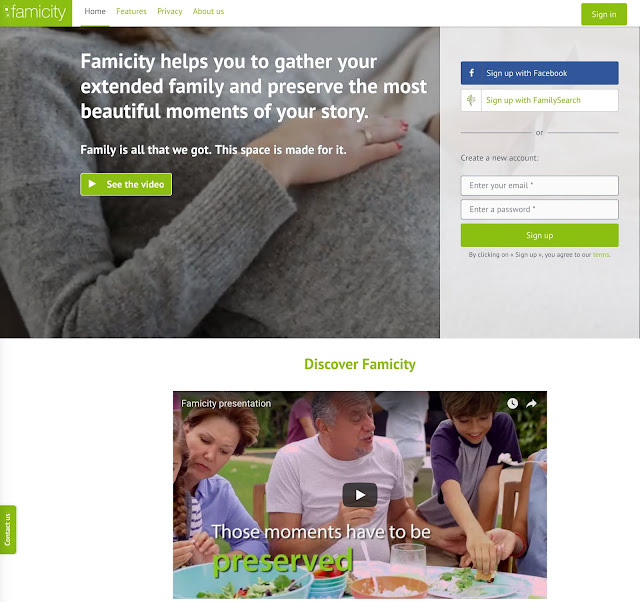 Famicity is private and allows invited family members to focus on sharing and preserving family-focused content. Presently, the program is free. RootsTech is excited to add a theme to the annual conference: Connect. Belong. We love this concept as it encompasses what family history adds to our lives. We understand that the journey of connecting and belonging is different for everyone, and while each of our experiences and journeys is unique, family history connects us in many different ways and helps us feel a sense of belonging. It’s our goal at RootsTech to advance your personal journey. Come see what’s new at the conference this year, make connections, and discover where you belong. Of course, I will be an Ambassador again this year. Of course, you will need a library card to access the collections. Many of these collections can be accessed from your own home. One of the most extensive collections of genealogical research material in the collection is the Gale Genealogy Connect collection. 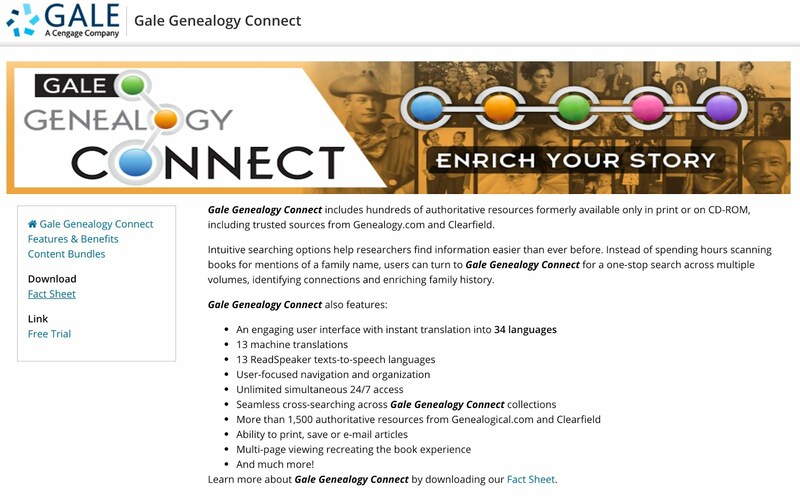 Gale Genealogy Connect features a wide range of comprehensive references and is powered by authoritative information from Genealogical.com – the parent company of Genealogical Publishing and Clearfield Company, leading publishers of works on genealogy and family history. These unique references – available for the first time in a fully searchable format – cover such topics as genealogy best practices; research methods and sources; immigration; royal and noble ancestry; and much more. The Maricopa County Library District has both the Gale Genealogy Connect collection but also the ProQuest.com collection shown above. 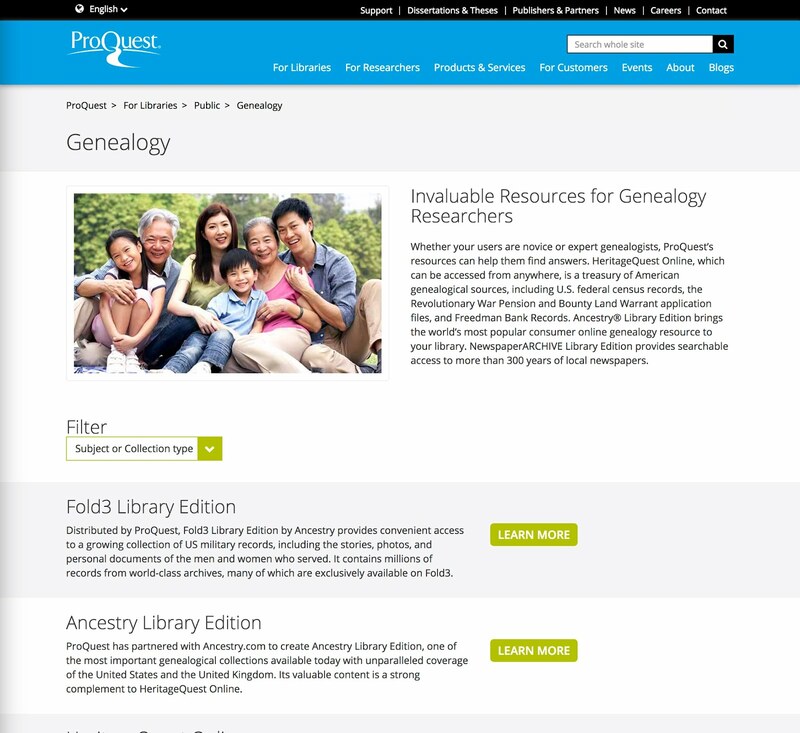 ProQuest.com is one of the major suppliers of such online reference information. They have a rather impressive free online collection that rivals the FamilySearch Family History Center Portal. Your library may also have many local and state historical records of interest in your genealogical research. If you happen to live in a small town like I do here in Provo, Utah, your local library's offerings might be very limited. Fortunately, many larger libraries offer memberships, i.e. library cards, to nonresidents for the payment of a fee. 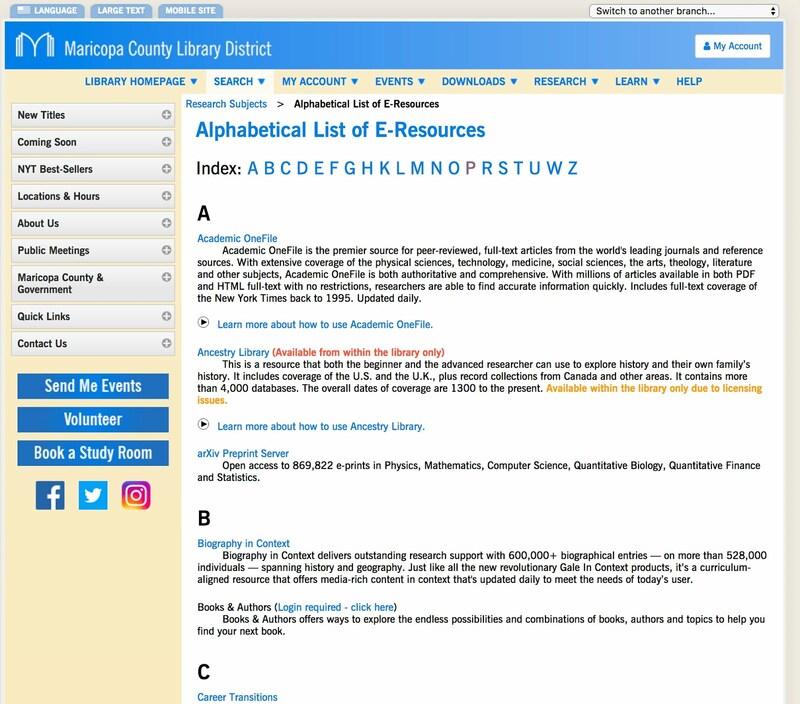 You might check out your county library or a library in a nearby large city. 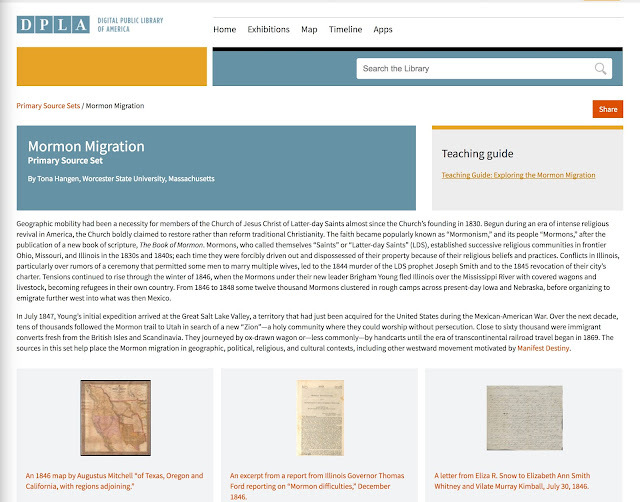 As I have mentioned before, large university libraries also have online collections. However, few of these collections are available by remote access. Eakle, Arlene H., and James L. Tanner. 2015. 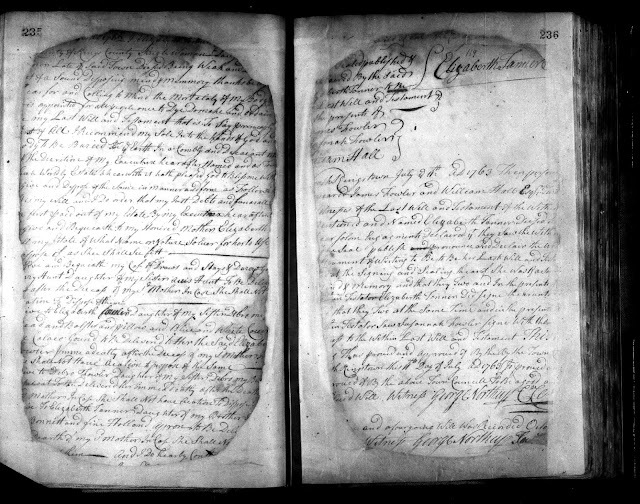 The ins and outs of probate for genealogists research guide. Morgan, UT: Family History Expos. Salmon, Marylynn. 1992. Women and the law of property in early America. Chapel Hill [u.a. ]: Univ. of North Carolina Press. At the end of this post, I will provide a list of additional books on these subjects. But now it is time to write more specifically about women, property, and inheritance. The first word that comes to mind when talking about the history of laws in America is diversity. Unfortunately, this term has come to have two radically different definitions: differences in the laws from one city, county or state to another and the employment of different racial, gender and ethnic individuals by law firms. The diversity I am writing about is the difference in laws between different jurisdictions. In fact, every one of the original U.S. Colonies had their own and substantially different laws concerning women, property rights, and inheritance. These differences have been carried over into substantial differences in the laws throughout the 50 states and 3,142 counties or county equivalents. 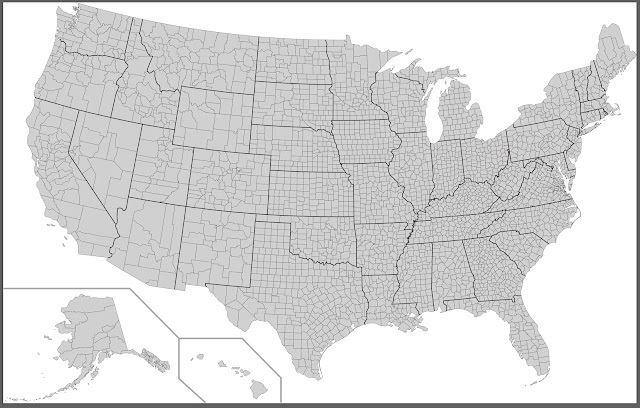 To get some idea about the scope of jurisdictional diversity in the United States here is a short analysis of the counties and county equivalents in the United States today from Wikipedia: List of United States counties and county equivalents. Instead of counties, Louisiana is divided into 64 parishes which are functionally similar to counties. Alaska is divided into 19 organized boroughs and a single Unorganized Borough. 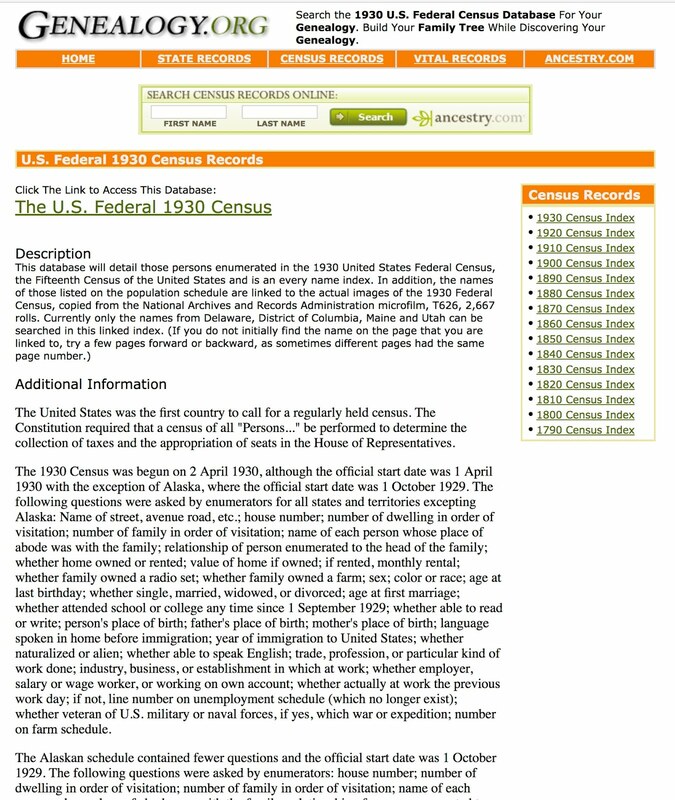 The United States Census Bureau has divided the Unorganized Borough of Alaska into 10 census areas for federal census and planning purposes. The 38 cities in the state of Virginia are independent cities, which are not considered part of a particular county, and the states of Maryland, Missouri, and Nevada each have one independent city which is not considered part of a particular county. 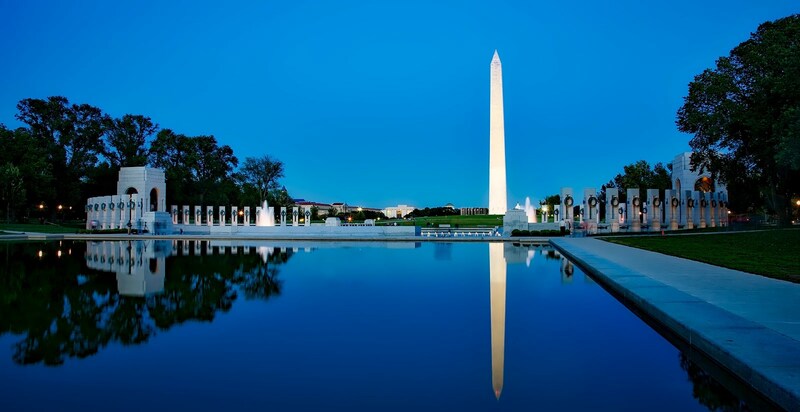 The Census Bureau and the Office of Management and Budget consider the 64 parishes, 19 organized boroughs, 10 census areas, 41 independent cities, and the District of Columbia, though not the Unorganized Borough, to be equivalent to counties for statistical purposes. Unknowingly, genealogists tend to think of the past as an extension of the present rather than the other way around. I am also guessing that most genealogists view the past with more uniformity than actual historical reality would suggest. This is particularly true about women's rights, property rights and the customs, processes, procedures, laws, and regulations affecting inheritance. Genealogists, like most of the population, also tend to view subjects such as women's rights in the light of recent developments and attitudes. They also tend to view the changes that have occurred most recently as "progress" and additionally filter all writing or discussion on the subject through a heavy-handed censoring mechanism based on vague concepts of "political correctness." Subsequently, there is a danger in writing about a combination of the subjects that anything I write will be controversial. Never being one to shy away from controversy, I am determined to launch off into a discussion of the interrelationship of these three subjects. I mention this because genealogical research extends back in time before the formation of the United States and any application of the United States Constitution. At the time of the formation of the United States, the framers of the U.S. Constitution were concerned about the diversity of laws between the various colonies. The United States Supreme Court was set up as the ultimate arbiter between the states. From a genealogical standpoint, it is important to understand both the extent and pervasiveness of the diversity that existed between the colonies with regards to the laws pertaining to women, property, and inheritance. I have left in the footnote references. 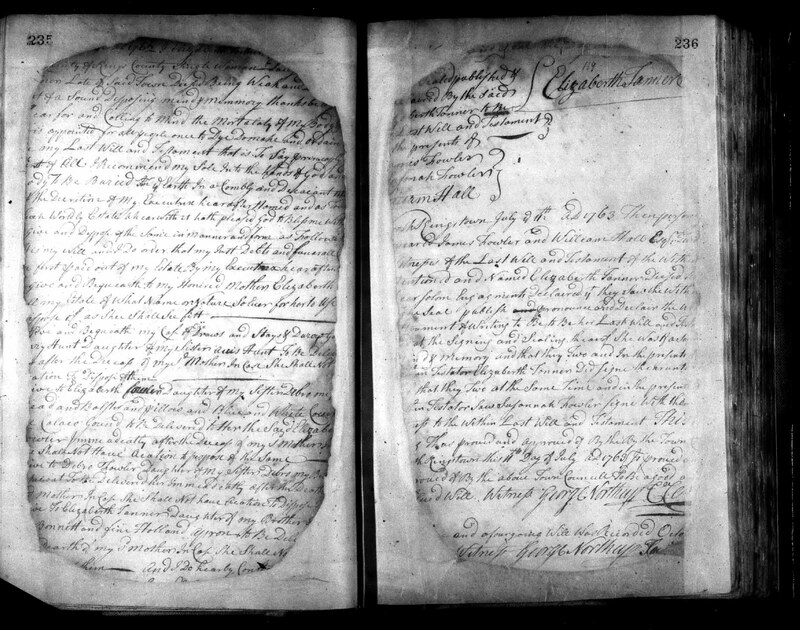 Note, I have a copy of the will executed by my female ancestor in 1763. This quote from the Library of Congress seems to indicate that Connecticut was the first state or one of the first states to enact laws allowing women to execute wills in 1809. I think we have to be careful as genealogists to sift out historical reality from present-day political correctness. By the way, the statement made by this article from the Library of Congress is the commonly accepted position with regards to early women's rights in America. It is also the reason why I begin this discussion by referring to the issue of jurisdictional diversity. First the free transcribed genealogy records - there are over 1,900 now. 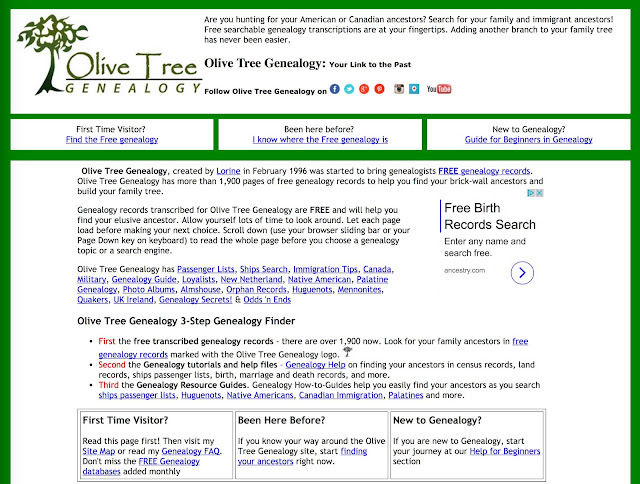 Look for your family ancestors in free genealogy records marked with the Olive Tree Genealogy logo. Second the Genealogy tutorials and help files - Genealogy Help on finding your ancestors in census records, land records, ships passenger lists, birth, marriage and death records, and more. 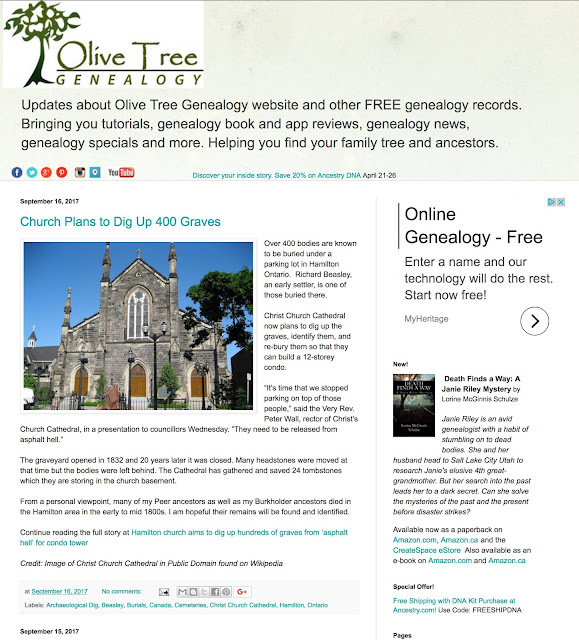 Third the Genealogy Resource Guides. Genealogy How-to-Guides help you easily find your ancestors as you search ships passenger lists, Huguenots, Native Americans, Canadian Immigration, Palatines and more. 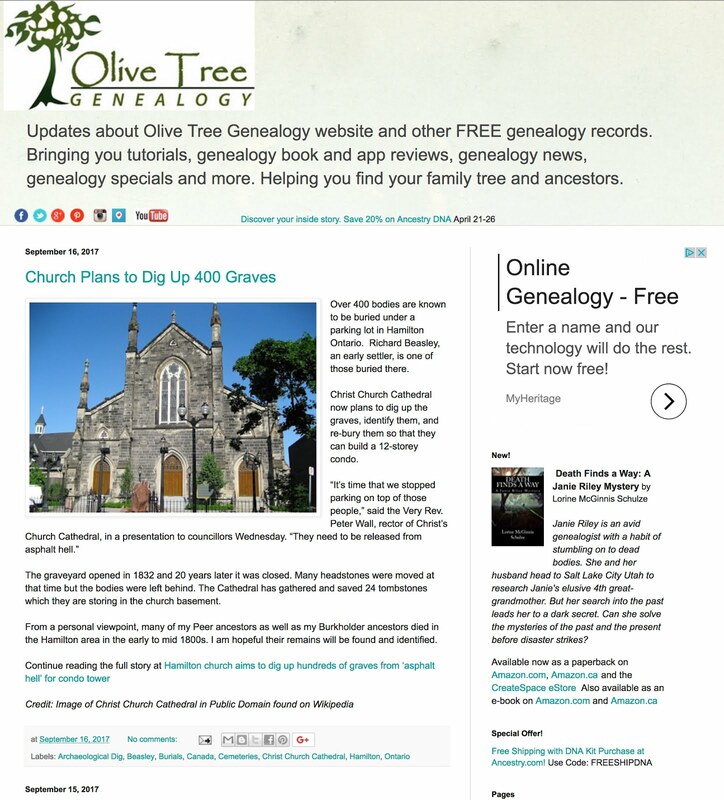 As people become more involved in genealogical research and begin to realize the huge resources online, it is almost inevitable that they come across the bright spots on the internet such as the Olive Tree Genealogy website. She also has an Olive Tree Genealogy YouTube Channel and has written a number of books. 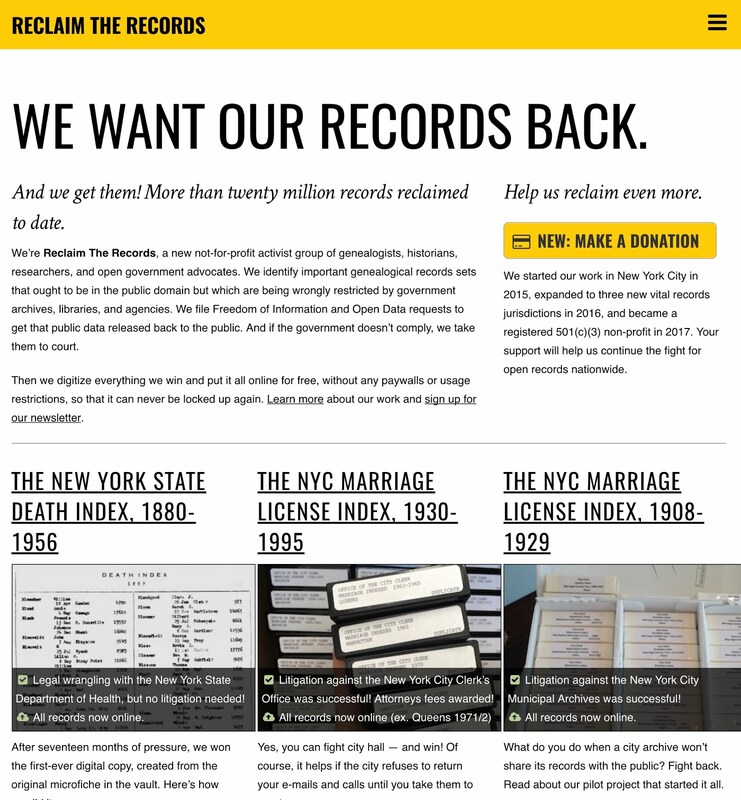 What about missing marriage records? In a recent post, I discussed some of the law in the United States concerning common-law marriage. After receiving a comment to the post, I realized that there were some major unanswered questions about the impact of common-law marriages on genealogical research. The main issue here is the effect of a marriage on property ownership.Common-law marriages fall into the category of undocumented marriages and could be considered to be quasi-legal. Here is a statement regarding the property rights of women before 1839. Under the common law legal doctrine known as coverture, a married woman in Great Britain's North American colonies and later in the United States had hardly any legal existence apart from her husband. Her rights and obligations were subsumed under his. She could not own property, enter into contracts, or earn a salary. See Wikipedia:Married Women's Property Acts in the United States." In other words, when a woman got married all of her property belonged to her husband. There were some exceptions. Common law provided that a woman owned a "dower" interest in the property of her husband's estate upon his death. A woman could relinquish her dower interest in real property by executing a disclaimer deed. Failure to execute the disclaimer date resulted in the wife's dower interest being preserved and enforceable upon the death of her husband. For example, if the husband sold a piece of real estate during coverture (the existence of the marriage) without the wife's consent, then the wife could enforce her dower interest in the property after her husband's death. Here is a quote from the Stewart Title Agency in Massachusetts about Dower release. I would suggest that upon reading this explanation you would begin to understand why lawyers, courts, and judges all exist. The release of "all other interests therein," as appearing in the clause relating to dower and homestead is to be read within the context in which it appears, and it has been held that the language refers only to marital rights and does not extend to convey any other interests in the land, including the fee title. Anttila v. A. E. Lyon Co., 222 Mass. 126, 109 N.E. 950 (1915). Although such a deed will not pass the title of the spouse who joins in the conveyance for such a limited purpose, if the parties held title as tenants by the entirety, and the spouse who so joins dies before the granting spouse, the title under the deed will be good, inasmuch as the conveyance by the grantor would not have severed the tenancy by the entirety and the death of the other spouse will allow title to flow through that grantor. It is important to remember, however, that in order for this "cure" to work, it must be established that the spouse who joined and the granting spouse were still married to each other when the spouse who had joined in the conveyance died. If the parties had been divorced, the title (or at least a half interest therein) would remain defective, because the divorce would have "severed" the tenancy, transforming it into a tenancy in common, and thereby destroying the survivorship feature. 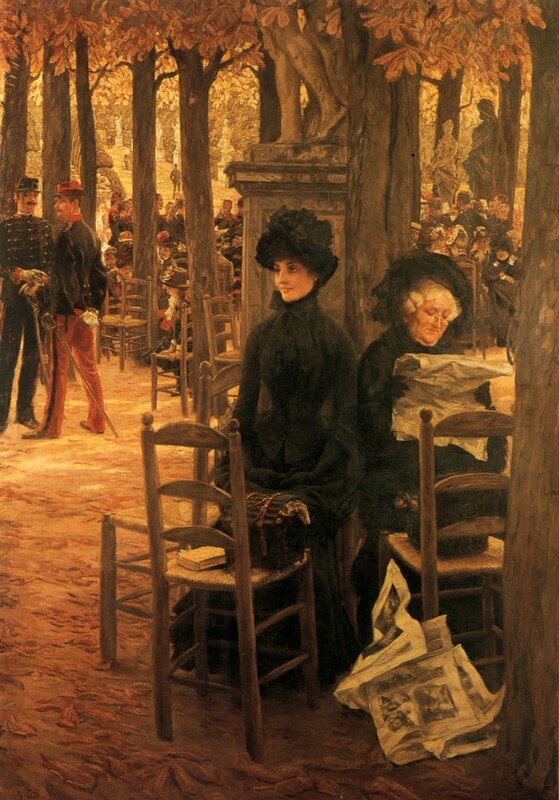 And, the order of death is crucial, because even if the parties remained married, the death by the granting spouse before the death of the joining spouse would, where the parties had held title as tenants by the entirety, cause the entire title to find its way into the hands of the joining spouse, thereby totally destroying the chain of title of the grantee claiming under the granting spouse. Now, it is time to go back to common-law marriage. In essence, none of these property rights exist unless there is a valid marriage. So, assuming that two individuals lived together, how does a genealogist determine that there was a marriage? By the way, the quote above from the title agency does not even address the issue of the validity of the marriage. The idea of the common-law marriage is to provide a method by which individuals who live together as husband and wife for an extended period of time and have "issue" or children obtain property rights. On the other hand, the restrictions on common-law marriages were designed to prevent people from claiming property rights improperly. Modern law has modified marital property interests considerably. Beginning in the early 1800s, states began to pass women's property rights laws that modified the claims that a wife had on her husband's property particularly upon the death of the husband. During the same time period, laws concerning the acceptance of common-law marriage also evolved. Many states abolished the recognition of common-law marriage entirely. Whether or not a marriage exists turns out to be amazingly complex. From a genealogical standpoint, absence of a marriage record does not indicate that the couple was not married. We have to assume that any couple shown to have lived together as husband and wife and particularly those that had children were married absent specific records negating the marriage. There is really no other option. However, a record showing, for example, that the wife signed a disclaimer deed indicates clearly that the couple were married. Other indication of marriage, i.e. coverture, can be found in probate files. It looks like to me that I am going to have to continue discussing this issue. I don't think I'll make it into a series, however. 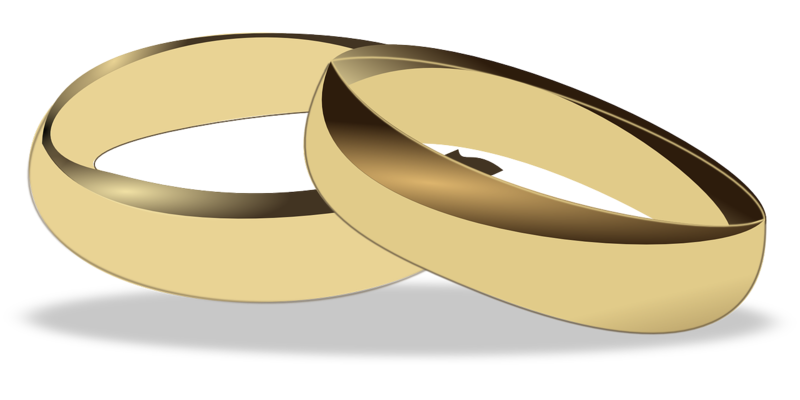 The Latin phrase, marriage per verba de praesenti refers to an agreement for a marriage by means of words of present assent. The term "common-law marriage" is often used incorrectly to describe various types of couple relationships, such as cohabitation (whether or not registered), or other legally formalized relations. Although these interpersonal relationships are often called "common-law marriage" they differ from true common-law marriage, in that they are not legally recognized as "marriages", but are a parallel interpersonal status, known in most jurisdictions as "domestic partnership", "registered partnership", "conjugal union", "civil union", etc. In Canada, for instance, while couples in "marriage-like relationships" may have many of the rights and responsibilities of a marriage (laws vary by province), couples in such partnerships are not legally considered married, although they may be legally defined as "unmarried spouses" and for many purposes (such as taxes, financial claims, etc.) they are treated as if they were married. In recent years, the term common-law marriage has gained increased use as a generic term for all unmarried couples – however, this term has a narrow legal meaning. First of all, one can only talk of "common-law marriage" if such marriage was formed in a jurisdiction which actually applies the common law. A 2008 poll in the UK showed that 51% of respondents incorrectly believed that cohabitants had the same rights as married couples. Non-marital relationship contracts are not necessarily recognized from one jurisdiction to another, and neither are de facto couples, whereas common-law marriages, being a legal marriage, are valid marriages worldwide (if the parties complied with the requirements to form a valid marriage while living in a jurisdiction that allows this form of marriage to be contracted). The practical effect of a common-law marriage is that there is no official record of the marriage. More recently, the legal status of common-law marriages has been complicated by recognition of domestic partnerships and civil unions. It is also not uncommon in the United States historically that people would hold themselves out to be married without any formal marriage ceremony recognized by either the state or the church. The petition to have a relationship recognized as a marriage must be filed during the relationship or within one year after the relationship ends (one or both partners have died or the partners have separated). Either partner may file the petition or both partners may file the petition together. A third party, such as next of kin, may file the petition. When doing genealogical research it is entirely possible to find records indicating that a couple lived together and had children but no records indicating the marriage ever to place. 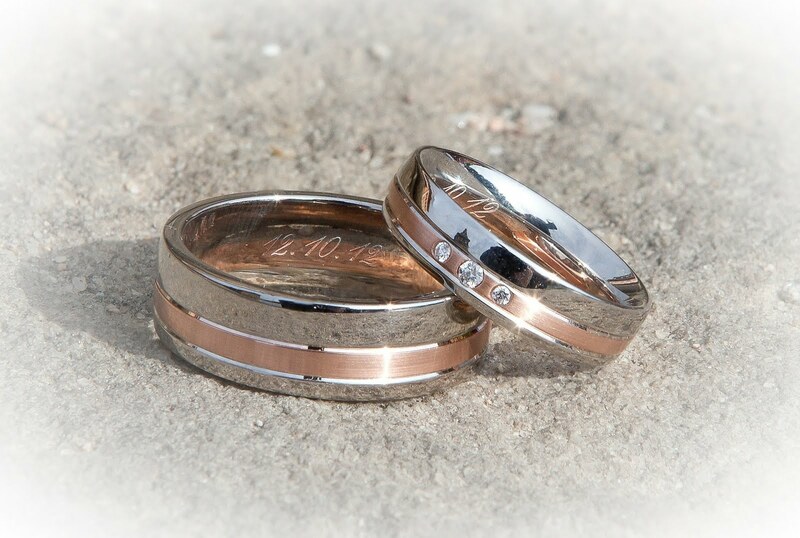 Historically, it would be very difficult to determine the frequency of these "common-law" marriages. By the way, all of the states in the United States recognize common-law marriages validly contracted in another state under the laws of comity. The concept of common-law marriages raises an issue for genealogists who become fixated on a particular date or event and an ancestor's life. For example, if a U.S. Census record shows that a couple is living together with children there is an implication that they were "married" but the absence of a record showing a marriage does not necessarily negate the fact that they were married. Of course, there is an ongoing need to document the event center ancestor's lives but there is also the reality that any given record may not exist. Over my lifetime, I have often heard the term "blood relative" used to differentiate between a relative who was part of my ancestral line and one that "married" into the family. The technical term for this is "consanguinity" which is defined as the property of being from the same kinship as another person. In that aspect, consanguinity is the quality of being descended from the same ancestor as another person. The idea that relationships were transmitted through the blood dates back into antiquity. Obviously, scientific advancements in DNA testing demonstrate that the relationships between individuals even in the same family are much more complicated than a simple "blood" relationship. In the series, I am using the example of Native American tribal enrollment to explore the practical uses of DNA testing to establish relationships and a culturally and politically charged environment. In this context, genealogical research, DNA testing, and desires to preserve a cultural heritage can either work together or create irretrievable conflicts. Although I am focusing on Native American tribal enrollment for this example, the discussion applies to the greater issues involved in general genealogical DNA testing. Let me start with a hypothetical situation. Let's suppose that I take a DNA test supplied by one of the major genealogical DNA testing companies. Let's further suppose that the DNA test shows that I have a certain percentage of Native American ancestry and that I am surprised with the results of the test. For whatever reason, I do not have a family tree associated with the DNA test. In this, I am far from unique. For example, recent news reports indicate that Ancestry.com has sold approximately 5 million DNA test packages. However, their latest reports also show that their paid membership is only about 2.6 million. Arguably, there are about 2.4 It's million or so people out there with DNA tests who do not have family trees on Ancestry.com. 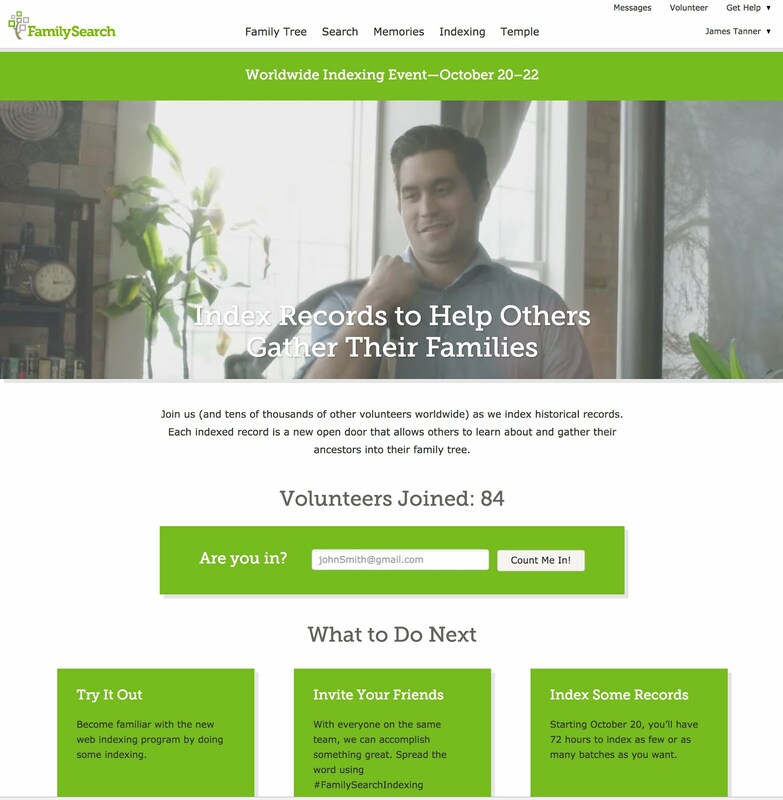 See Ancestry.com's Company Overview. Continuing with my hypothetical situation, let's suppose that the report from my DNA test indicating that I have Native American ancestry motivates me to begin some genealogical research. How far back in time would that research have to go to establish the identity of the Native American connection? My hypothetical connection to a Native American ancestor could date back hundreds of years and depending on the availability of the records, I may never establish a paper connection with a Native American ancestor. Even if I assume that I already had an extensive family tree on the DNA testing program's website, making a connection to a specific ethnic group such as a Native American ancestor would be extremely difficult. The other hand, it could be as simple as finding out that my grandparents were Native Americans. As I look at the results of my own DNA tests and compare the results to what is already known from my own family tree, I presently see no way to extend the research to account for reports that I have Italian and West Asian ethnicity. When the NCAI Policy Research Center began developing this resource guide, tribal leaders asked many questions such as, “What is genetic testing? What are good sources of information about genetic testing? What kinds of DNA testing can we use for tribal enrollment? How do we respond to individuals claiming tribal membership based on DNA tests?” This paper was developed to provide tribal leaders with more information on genetic testing related to tribal enrollment. Tribes are sovereign nations and so will decide their own views on genetic testing. This paper provides information to assist in those decisions. This article outlines some of the challenges of bringing genealogical DNA testing into the real world. The following comment from the same article further illustrates the challenges of assuming that DNA testing will solve ancestral relationships in a general way. DNA testing has become an umbrella term that refers to many different kinds of genetic testing that provides information about an individual’s genes. Genetic information, or DNA, is found in nearly every cell in the human body. DNA testing technology is constantly changing, and so are the efforts to engage tribes in testing on an individual and group basis. One type of DNA testing called DNA fingerprinting can be used to help document close biological relationships, such as those between parents and children, as well as among other close family members. Other kinds of testing for genetic ancestry use markers to see how similar an individual is to a broader population or group, based on probabilities drawn from databases of research on populations and group genetic characteristics. However, no DNA testing can “prove” an individual is American Indian and/or Alaska Native, or has ancestry from a specific tribe. Genetic testing can provide evidence for the biological relationship between two individuals (e.g., paternity testing), but there are no unique genes for individual tribes or American Indian/Alaska Native (AI/AN) ancestry in general. While research scientists have found that some genetic markers are found mostly only in AI/ANs, these markers are neither unique to AI/ANs nor predictive of AI/AN identity. This section will discuss various types of DNA testing as well as considerations for tribal leaders and members when engaging with testing companies. This article also is linked to a further discussion entitled "Considerations in Using Genetic Testing for Tribal Enrollment." What is certain is that the situation I outlined above in my hypothetical would not be helpful or useful in determining the type of information necessary to develop a tribal relationship. To see the previous installment of this series click below. Since we are dealing with living people, it is important to respect their privacy when appropriate. During the past few years, genealogy cruises have also been popular with some of the promoters incorporating "classes" with professional genealogists as an attraction. My own "homeland" tour would take me to Eastern Arizona, which I suppose is not on many of the tour companies' adgendas. It appears that both Ancestry.com and Findmypast.com have appointed new CEOs at about the same time. The new CEO of Findmypast.com is Tamsin Todd. She replaces Jay Verkler who was acting as interim CEO. Jay will now be taking over as Chairman of the Board at Findmypast.com. 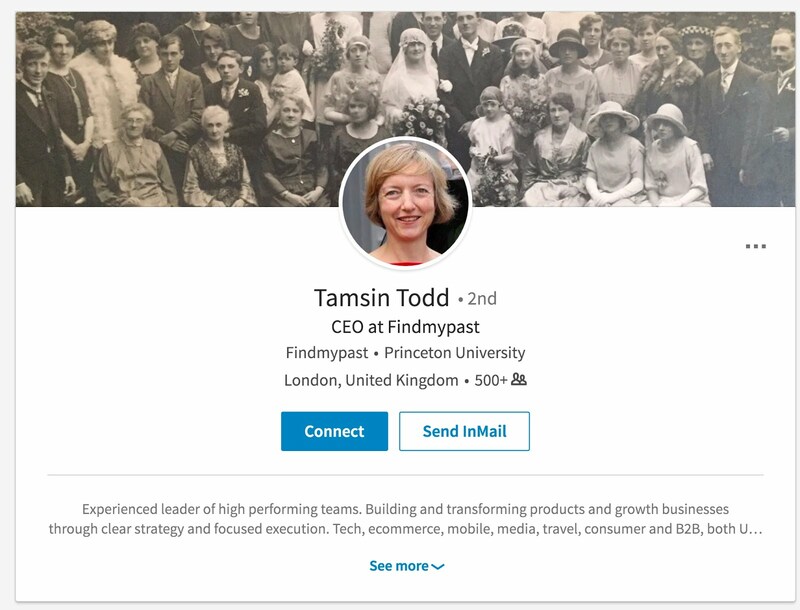 Tamsin Todd's LinkedIn.com posting indicates that she has been acting as CEO for about a month. 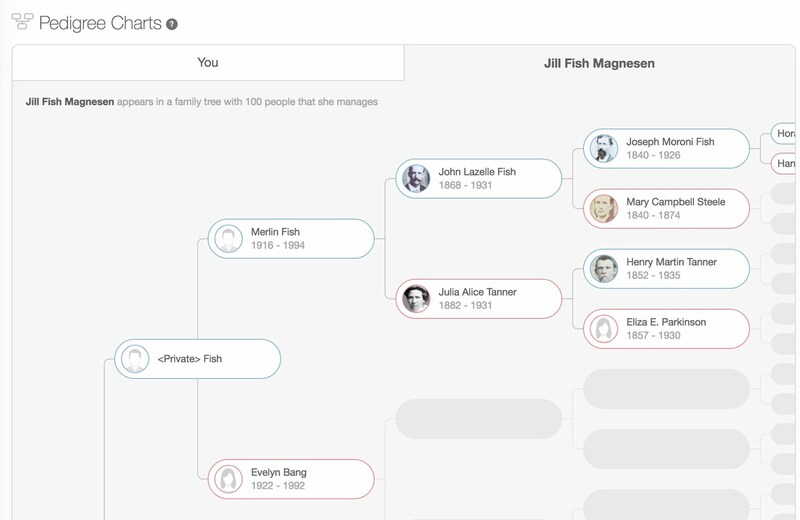 Since Sullivan joined Ancestry as CEO in 2005, the company has taken family history and consumer genomics mainstream. Today, Ancestry is a powerful and trusted brand that inspires a curiosity for self-discovery. Over his tenure, Ancestry revenues have grown from $140 million to more than $1 billion projected for the full year 2017, and more than five million people have taken the AncestryDNA test, making it the most popular consumer genomics product in the world. Over these years, the company also expanded internationally, established and grew a San Francisco office to complement its Utah headquarters, and today employs almost 1600 people. 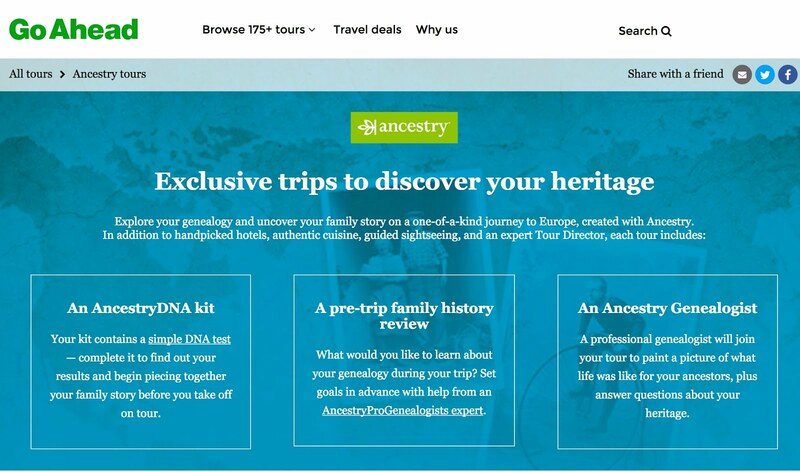 On the same date, Ancestry.com announced that it had postponed its previously announced initial public offering. 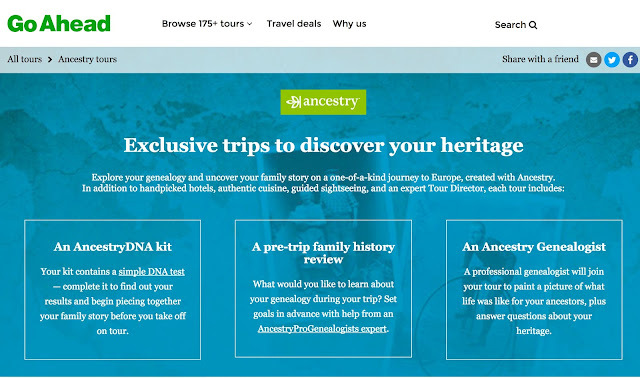 Ancestry's 5 million DNA customers far outnumber its 2.6 million paying subscribers. With 20 billion online family history records, Ancestry still claims to have the world's largest online collections. Apple's announcements of new products have become a worldwide news event. They are also an example of picky infighting among the large technology companies. 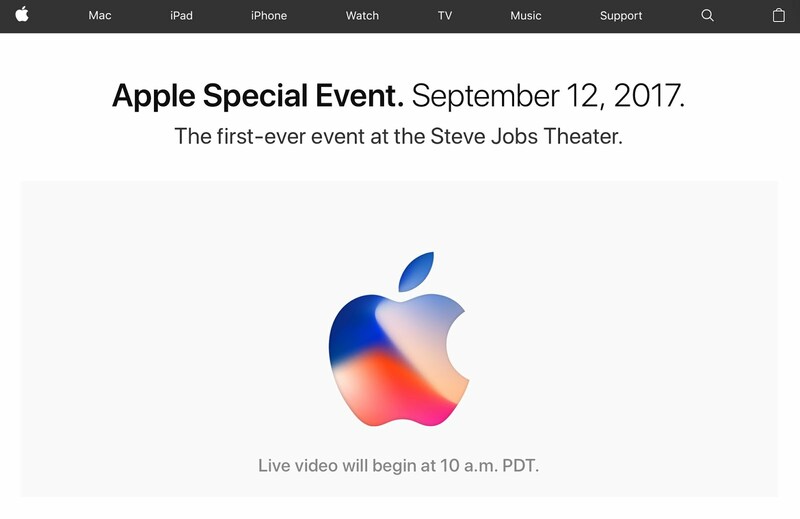 For example, the Apple Special Event on September 12, 2017, could only be viewed by using either the Safari browser or the Microsoft Edge browser. All other browsers were blocked including Chrome and Firefox. I believe that this carries Apple's smug superiority a little too far. This is true even for me a dyed-in-the-wool Apple aficionado. That said, I am always fascinated by the vast improvements in the technology that seems to leap ahead every time there is a major announcement by one of the large technology companies. In this case, the iPhone X is a prime example. This new iPhone has an A11 Bionic chip with 64-bit architecture. Quoting from a ZDNet.com article entitled, "Inside Apple's new A11 Bionic Processor:"
The A11 Bionic - yes, that's its real name - is a 64-bit, 6-core processor (two performance cores, and four high-efficiency cores) that Apple claims is the "most powerful and smartest chip ever in a smartphone." It features 4.3 billion transistors and its two performance cores are 25 percent faster than the A10 chip, and the four high-efficiency cores are 70 percent faster the A10. It also features Apples second-generation performance controller that is 70 percent faster for handling multithread workloads than the current controller. Translating that into English, it means that the new iPhone X is likely a much more powerful computer than the one you are using on your desktop today, not to mention your laptop. What does this mean for genealogists? One obvious answer is that your computer and smartphone just got another major step out-of-date. The new iPhone 8 and the iPhone X are also coming out with an upgraded iOS version. This means that older devices may be on their way out through an inability to upgrade either with this iOS upgrade or one to come. But older devices will certainly not be able to take advantage of many of the new features. Genealogists are really at the tail end of these kinds of technological advances. But some of us do use smartphones and will benefit from the changes in technology. Some things, like the improvements in the smartphones' camera quality, have an immediate impact on some of our activities, but other most of the other developments will only have a future trickle down effect. For more information about the iPhone X see Apple.com.